Early diagnosis of rheumatoid arthritis, made easier through a biomarker,PET tracer, developed by Korean researchers.Activated macrophages that helps protect the body from harmful bacteria and infected cells, are known to play an important role in rheumatoid arthritis (RA) development. Focusing on the translocator protein (TSPO), which is abundant in activated macrophages, researchers developed fluorine-18 (18F)-FEDAC, a radiolabeled ligand that targets TSPO and binds to it. The findings of the study are expected to contribute to the improvement of personalized therapeutic outcomes by expanding the scope of molecular imaging and nuclear medicine. “This study is novel because it showed the value of 18F-FEDAC PET as an inflammation biomarker for early detection of rheumatoid arthritis, even before onset of clinical symptoms of joints,” explains Gi Jeong Cheon, MD, PhD, of Seoul National University College of Medicine in Seoul, Korea. For the study, 18F-FEDAC was tested in a mouse model, using both 18F-FEDAC and 18F-FDG PET imaging. Microscopic examinations of tissue were performed to evaluate macrophages and TSPO expression. The study found that increased TSPO mRNA and protein expression in activated macrophages, and uptake of 18F-FEDAC in activated macrophages was higher than it was in non-activated cells. In addition, 18F-FEDAC uptake by arthritic joints increased early on (day 23), whereas 18F-FDG uptake did not. However, 18F-FDG uptake by arthritic joints increased at later stages (day 37) to a higher level than 18F-FEDAC uptake. “We observed that 18F-FEDAC uptake increased in paws of murine RA models in association with TSPO expression of activated macrophages, even before the onset of clinical symptoms of arthritis. 18F-FEDAC can help us to find which patients will actually progress to clinically significant rheumatoid arthritis and need treatment.”said Gi Jeong Cheon. The study concluded that 18F-FEDAC makes it possible to see active inflammation sites in arthritic joints by targeting TSPO expression in activated macrophages, and it suggests imaging with 18F-FEDAC could be useful when RA is suspected. Reflecting on the comparison of 18F-FEDAC PET with 18F-FDG, Cheon states, “From our data, we found that each tracer may be useful for different information about arthritis–18F-FEDAC for early detection of subclinical arthritis and 18F-FDG for measuring disease activity of symptomatic arthritis. 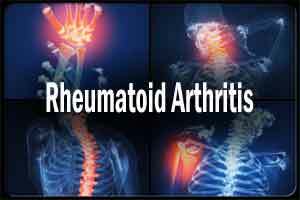 Rheumatoid arthritis is a systemic autoimmune disease characterized by chronic, symmetrical and erosive joint destruction. Patients with rheumatoid arthritis can develop serious joint deformities and loss of function resulting in serious disability.